Stylish 3B, 2.5b, stone/brick townhouse w/2-car garage in established community. Main level features an open floor plan w/stained cabinet kitchen with island, breakfast bar/eat-in kitchen, granite countertops, tile backsplash, & stainless steel appliances. View to den/family room with fireplace. 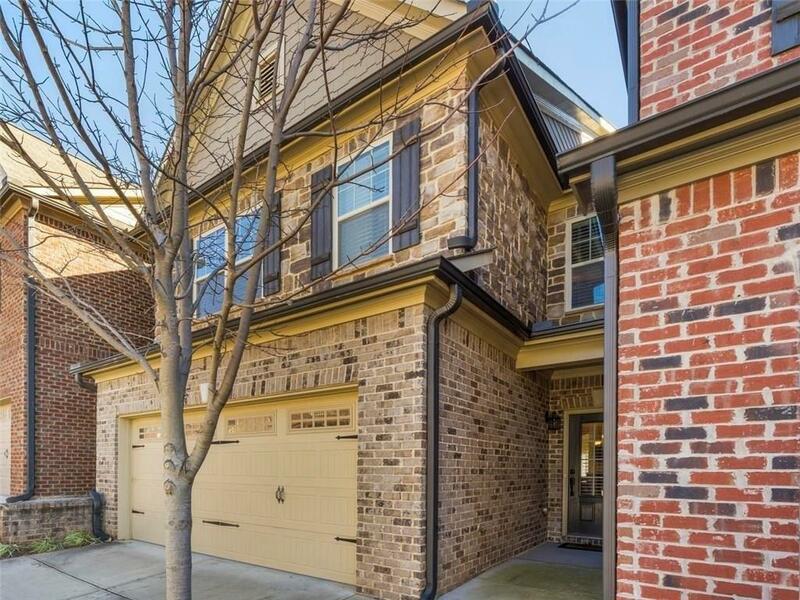 Upstairs features an oversized master bedroom w/reading nook & beautiful master bath enclave. Two other bedrooms have split floor plan w/master bath & jack-n-jill shower. Upper level laundry (not incl). Community is gated at entrance, community pool, & easily accessible to hwys. Directions: Go North On Peachtree Industrial From I-285. Veer Left Onto Peachtree Parkway. Take Right At 3rd Light Onto Technology Parkway. Take Right Onto Westec Drive And Westchase Commons Community Will Be On Right. Must Have Access Code To Security Gate.